クリスタルケイ | Japaneze Jusu!!! ようこそ!!! クリスタルケイ Crystal Kay “Baby Cop” Ft. Mummy-D – Japanese Pop!!! Far East Movement Ft. Crystal Kay クリスタルケイ “Where The Wild Things Are” – New Single!!! 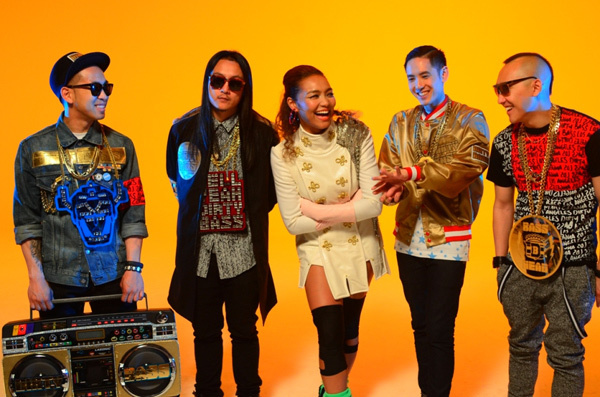 Massively popular band “Far East Movement” have collaborated with Crystal Kay in order to produce the song “Where The Wild Things Are“. I really like Crystal Kay and so I was excited when I heard this song! I really do like the song! It is upbeat and it makes you dance to the beat! Crystal looks beautiful as always and the Far East Movement look cool! lol. This is a 1 minute preview! Can’t wait until the video is released! Crystal Kay has released her MV preview to her upcoming new single “Delcious na Kinyoubi デリシャスな金曜日”. She looks good in the video, I love the makeup and clothes and the colour used in the video! So I’m looking forward to seeing the full video!